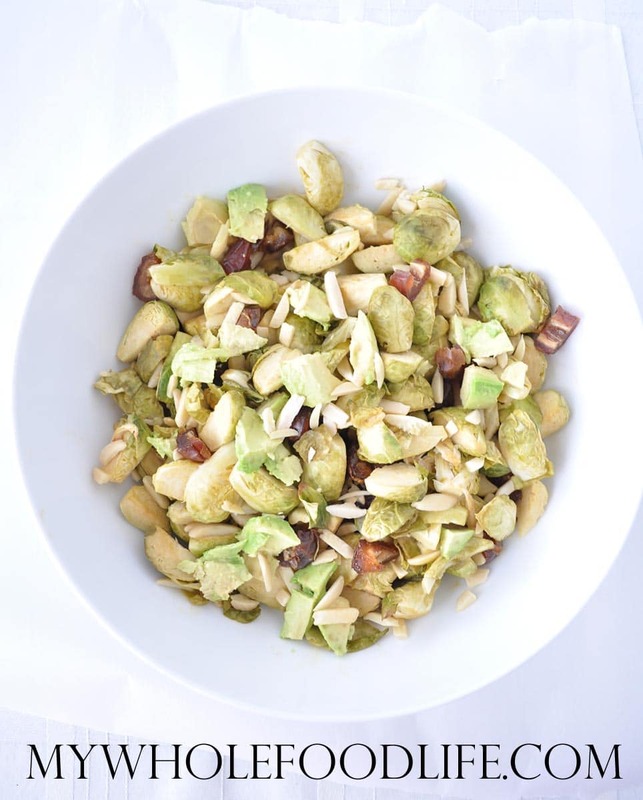 This Brussels Sprouts Salad with Almonds and Dates may be my most favorite salad ever. I know I said that about my quinoa salad with avocado and tomatoes, but this is just as good! You all know I love Brussels sprouts recipes. Especially my maple glazed Brussels sprouts. You have got to try this one! I love the flavors in this. The dates help balance out the acidity of the dressing. This salad is very easy to prepare and should last several days. However, I would only add the avocado right before you are going to eat it. Otherwise, it will get too mushy and brown. I hope you enjoy this as much as I did! Mix the dijon mustard, maple syrup and lemon juice in a small bowl . 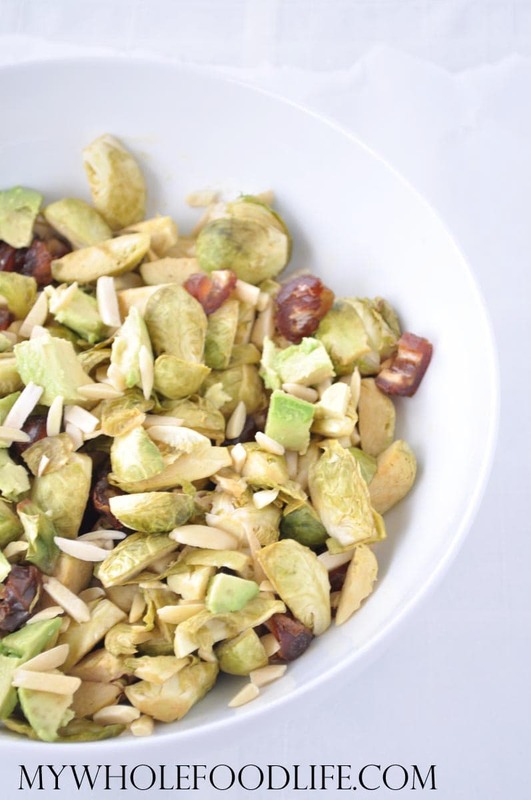 In a large bowl add the cut Brussels sprouts. Pour most of the dressing onto the sprouts and mix well. Spread the sprouts onto a lined baking sheet . Sprinkle with sea salt. Bake in the oven for about 30 minutes, stopping halfway to flip them around. Once they are cooled, add them to a bowl with the remaining ingredients. Pour the last little bit of the dressing over the ingredients and mix well. For best results, serve immediately. From one Brussels sprouts lover to another, thanks so much for a wonderful recipe. Looks like a great variation for a green salad. Love the protein boost in those almonds.